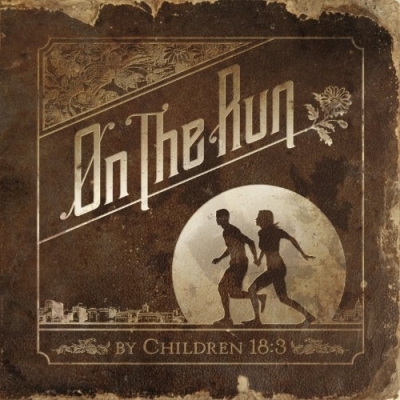 Rock trio Children 18:3 have released their third album on Tooth & Nail Records, 'On The Run', featuring current radio single 'Moment to Moment' which has broken into the Top 10 on the Rock charts. The band teamed up with producer Travis Wyrick (P.O.D., Disciple, Pillar) for the album which emotes an entirely innovative vibe on all ends of the artistic spectrum and has been sonically compared to Blink-182, Anberlin, August Burns Red or MyChildren MyBride. "We're really excited about these songs, and by far, we're the happiest with this record after leaving the studio," shares drummer Seth Hostetter. Children 18:3 splashed onto the music scene in 2008 with their self-titled label debut, which received huge praise for the Minnesota raised band. Fans can catch the band performing the new tunes from 'On The Run' as special guests on the DisTOURtion 2012 Tour with Blessed By A Broken Heart and Write This Down, along with special guest Rocky Loves Emily. The tour begins on 1st August and continues throughout September. 9. Why Are You Afraid Of The Dark?